It’s our 5th anniversary show. Holy cow. As is our celebratory tradition this week we look back over the past year, running down the most popular sessions and some of our favourite tracks. As we enter our 6th year of broadcasting we take a retrospective look over the past 12 months and 20 shows. 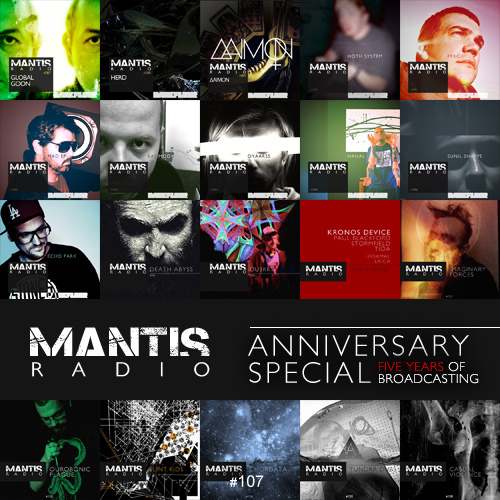 It’s been another amazing year for us at Mantis Radio and Darkfloor. Back in February we celebrated the milestone of the 100th radio broadcast by throwing an event in London. Top of the bill was a rare performance from Kronos Device who were joined by Militant Science’s Paul Blackford and Combat Recordings Stormfield. All three unleashed serious bass weight on the venue. This Friday we return to that venue to begin a series of monthly events; Darkfloor Live. Up first we present 90 minute sessions from two of London’s underground techno heavyweights Voidloss and Coefficient. Tonight, as is tradition with our anniversary show, we work out the stats and run down the three most downloaded and listened to showcase sessions from the past year. Broadcasting 20 minutes from each of the three. 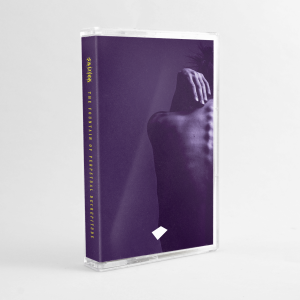 From Global Goon and his unique acid trips to most recently the dark lord of Manchurian techno; Casual Violence. I’ll also be taking a long look at the huge amount of tracks I’ve played over the past 12 months and picking out some of my absolute favourites from another year of frankly fantastic music. Who was your favourite showcase guest from the past year. What were your favourite tracks of the past 12 months? We’d love to know. Get in touch. It’s so hard picking a favourite guest. Each and every guest goes above and beyond delivering killer selections and tight programming. This year is going to be a big year for us, thank you for being a continued part of our broadcasts, our site and soon, we hope, our record label.